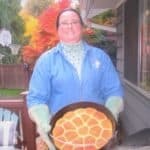 The dough is cooked in a Dutch oven, which gives it a crisp crust and soft interior. You can place your Dutch oven in your regular oven, if at home, or cook over the coals if you are out camping. 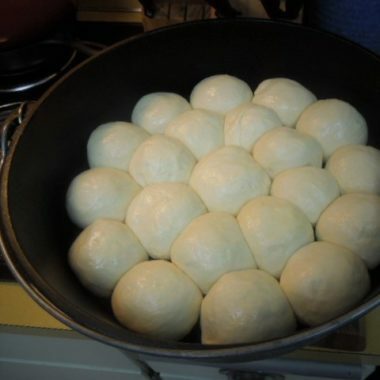 Make sure to give yourself plenty of time, and have a draft-free area, to let the dough rise properly. This bread is equally delicious with jam and butter as it is to sop up stews and soups. In a large bowl, combine the hot water, butter, sugar, and salt. Stir until the butter is melted. Let cool to about 110 degrees F (45 degrees C). Stir in the yeast; cover and set in a warm place until bubbly, about 15 minutes. Beat in about 5 cups flour to make a thick batter. Stir in about 3 1/2 cups more flour to make a stiff dough. Scrape the dough onto a floured board. Knead until smooth and satiny, about 10 minutes, adding as little flour as possible to prevent sticking. Place the dough in a greased bowl; turn over to grease the top. Cover and let rise in a warm place until doubled, about 1 1/2 hours. Punch the dough down and knead briefly on a floured board to release the air. Shape into a smooth ball or into rolls. Melt the additional butter in the bottom of the Dutch oven. 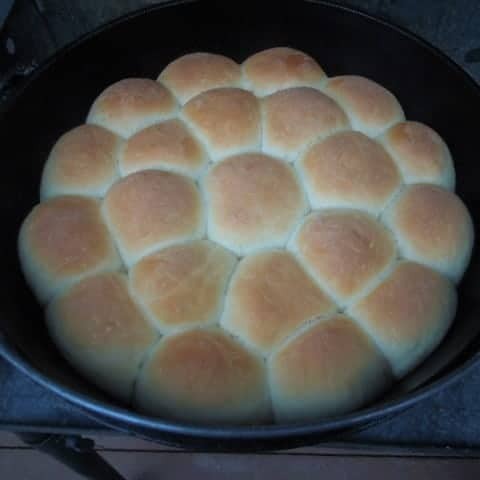 Place the dough or rolls, rolled in butter, into Dutch oven and cover with the lid. Let rise in a warm place until the dough rises, about 30 minutes. Bake, covered, with a lid in a 350 degree F (175 degree C) oven for 45 minutes or until the loaf or rolls sound hollow when tapped on the bottom. If using an outdoor 12-inch Dutch oven to bake, use 7 to 9 coals on the bottom and 25 on top.